Custom Letterpress — Huckleberry Letterpress Co.
Huckleberry Letterpress offers custom letterpress printing for designers, businesses and individuals. Currently we do not have the bandwidth to accept any design work at the moment. We can only letterpress print projects that are camera ready and/or ready-to-print. Thank you! 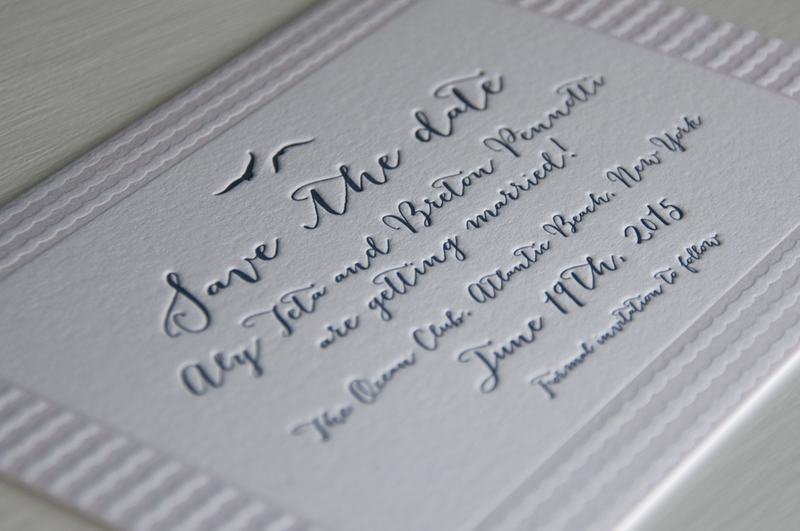 In general, letterpress wedding suites range from $1,000 - $3,000+. Our minimum budget for letterpress projects is $300. Our job time estimates are based on difficulty, backlog and if your paper is in stock. For more info and pricing, please email Justin. Letterpress printing is the process of using wood or lead type that is covered with ink and pressed into paper with great amounts of pressure. This printing process has become more and more rare since the invention of digital and offset printers. Thankfully, technology has jumpstarted a letterpress renaissance. Designers and printers are no longer limited to using only wood and lead type. Now designers can inexpensively output and print any design using photo polymer plates paired with a steel base. It's a perfect combination of old and new techniques. Although offset and digital printing have their advantages, those methods cannot reproduce the beautiful impression that is made on paper by letterpress printing. We can’t say this officially, but we’re pretty sure it's the best form of printing.